Mashups, intellectual property laws, bootlegs, copyright. While those are all valid concerns today, they're hardly anything new. Just ask Charlie Chaplin. Peter Decherney's 2012 book Hollywood's Copyright Wars: From Edison to the Internet is an absolute must-read for anyone interested in the history of intellectual property. Decherney covers everything from the rampant duping that early film companies did of competitor's movies (everybody did it) to the mechanical "DRM" of the early cinema (film sprocket holes were sometimes made to fit only a particular kind of projector). He also makes his way into present day battles over digital downloads, showing that there's really nothing new about the wars being waged over movie piracy. But I found one of the most interesting stories in the book to be about Charlie Chaplin. Chaplin's career and the stories Decherney tells of it deals with so many different facets of IP law — issues like what it means to own one's likeness and the legality of mashups. Yes, despite their modern association with YouTube culture, mashups were definitely a thing a hundred years ago. You see, Chaplin was incredibly popular in the 1910s, '20s and '30s, but he wasn't a very prolific filmmaker. He'd often take an entire year to make a film — a lifetime when you compared it to the output of his contemporaries. So naturally, people got creative and churned out knock-off Chaplin pictures mimicking his schtick — Harold Lloyd was quite famous for this early in his career — while other times people would remix his work to create entirely new films. A while back I spoke with Decherney over the phone. He explained to me that Chaplin and his attorney, Nathan Burken, went after the people who were remixing his work, and others who were just making outright copies of the film for resale. There were people who did dupe Chaplin films and resell them. 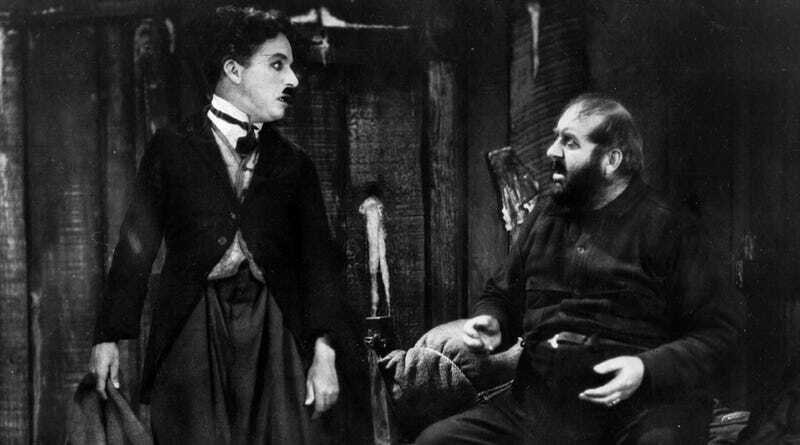 And interestingly, there were people who took Chaplin films and re-edited them with other footage to create new films. None of those seem to exist [today], but we do have accounts of them. The accounts are kind of hard to reconcile. So, for example, there's one account that discusses Chaplin's film [the 1915 boxing film The Champion], and somehow that was mixed with undersea footage to create a new film, which I can't quite picture. Jaws Meets Rocky, or something. But there was actually an audience for these films. And some of the courts at the time suggested that there was real confusion among audience members. But the exhibitors seemed to suggest that audiences knew the difference. And twice as many people would come to see a real Chaplin film as a film that was by an impersonator or a mashup. But there was a long time to wait in between Chaplin films. And audiences were happy to go see an impersonator or a mashup in between. As Leslie Horn pointed out recently, so much of our film history is simply lost — unrecoverable because the physical medium deteriorated and wasn't preserved for future generations. It's estimated that perhaps 90% of all films made before the introduction of the talkies (in the late 1920s) are lost forever. Which obviously leads to questions about the preservation of our own media's second string. If the major movies of an era aren't even safe, where does that leave this glut of culture that's been remixed by recent generations? Will people know the joys of G.I. Joe Pork Chop Sandwiches a hundred years hence? How about House of Cosbys, another work challenged by both litigation and the simple ravages of time? Only time will tell. But when you read about the remixers of generations past, it doesn't leave one very optimistic.